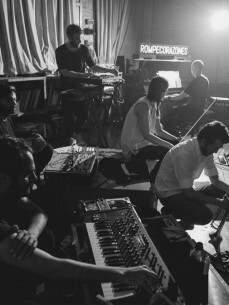 The concept of Rompecorazones started out as the record label of Guti and has since developed into a live band project. The sound is a hybrid mix of jazz, electronic, classical and experimental. The band members are unique and accomplished solo musicians.